June 22, 2014 — Colusa County, Calif. – Colusa Basin Mitigation Bank (CBMB), an environmental project being developed by Westervelt Ecological Services, has been approved by state and federal natural resource agencies to restore Giant Garter snake (Thamnophis gigas) habitat and other wetlands on 160 acres in Colusa County. The first issue of credits is now available. Most of the surrounding land use is either in rice production or managed as wetlands for migratory and resident species. 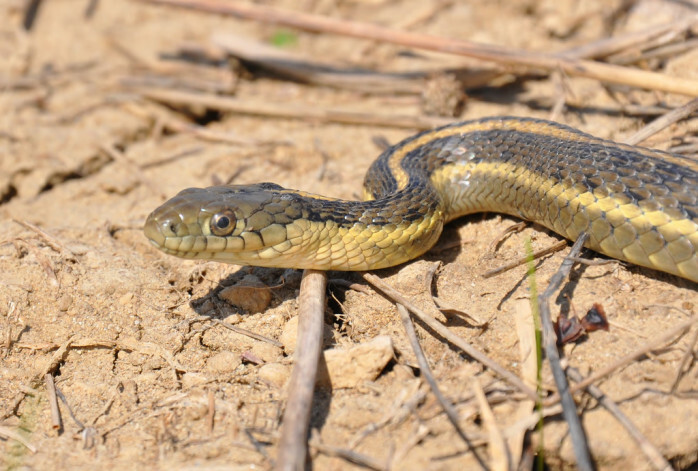 Rice fields provide suitable habitat features for foraging Giant Garter snakes and expand the potential migration corridor between CBMB and habitats beyond the constraints of the channelized waterways. CBMB is approved by the U.S. Army Corps of Engineers, the Environmental Protection Agency, the U.S. Fish and Wildlife Service and the California Department of Fish and Wildlife to provide mitigation credits to offset impacts to the Giant Garter snake and seasonal wetlands regulated under the Clean Water Act. The CBMBservice areas include portions of Tehama, Glenn, Butte, Colusa, Yolo, Yuba, Sacramento, Sutter, and Solano counties and will assist in fulfilling the species mitigation needs due to various development and infrastructure projects. Owned by Westervelt Ecological Services, a private company, CBMB is protected in perpetuity by a conservation easement, funded by a non-wasting endowment, and managed to provide year-round habitat for Giant Garter snake and many other wetland-dependent species. To learn more about the site and the credits available contact Travis Hemmen at (916) 646-3644 ext. 204.